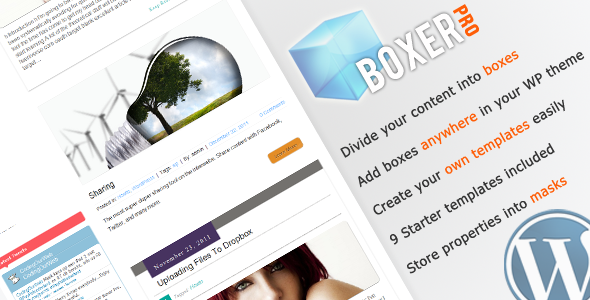 WP Boxer Pro is a WordPress plugin that will assist in creating beautiful content boxes by using 1 simple shortcode. Each of these boxes can contain a header, an image, some content and an optional link which can point to any given location. Boxes can be added to any section in your WordPress theme that supports shortcodes, so basically anywhere.